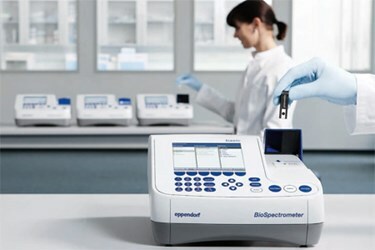 With the Eppendorf BioSpectrometer basic, measurements can be executed in the UV and Vis range from 200 nm to 830 nm. The freely selectable wavelengths offer you maximum flexibility during these procedures. Optimized menu navigation guides you through the individual methods in a step-by-step process. All required entries are visible right away. The entire operating procedure is guided by a help box that explains each individual step.